Back in the 1870’s Marshall Field of Chicago set the bar for customer service. Upon overhearing a lady complaining about her return of merchandise by an overzealous clerk, Field simply said to the clerk, “Give the lady what she wants.” These six little words became the hallmark for service at Marshall Field & Company for the next 135 years. Field’s took returns unconditionally until the day they became Macy’s. One has to wonder if Macy’s will continue with this kind of meticulous customer service. In my former life in the promotional printing industry we offered our clients a choice of the lowest price, quality, and superior customer service. The catch was that they could only pick two of the three. Invariably they would pick quality and superior customer service. When you provide the client with top notch quality and unmatched service, price ceases to be an issue. People realize that there is a cost to you to provide the best and thus are willing to pay a reasonable price even if it is a touch on the high side. In order to dominate your niche in our industry you had better be prepared to offer superior customer service if you want to build your client base and keep them coming back for more. Here are a few ideas that I have come across that you may want to incorporate into your business. 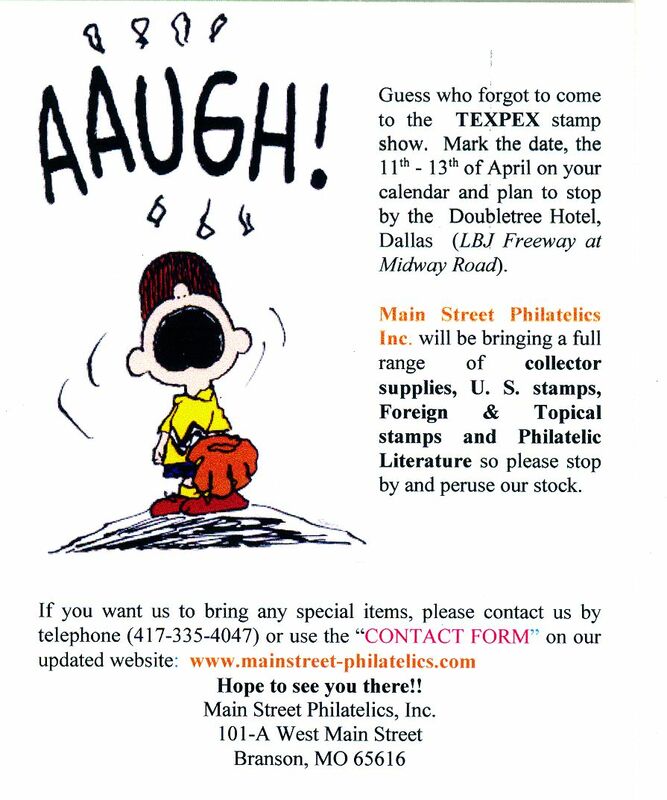 While at ROMPEX, in May of this year, I had the chance to chat with my good friend, Bernie Bernstein, of Main Street Philatelics in Branson, Missouri. Bernie shared with me some first day covers that he had created (which are illustrated in this article) to use as show announcements. On the front of the card is a cacheted first day cover while the back serves as a show announcement. He also uses them as a thank you card which is sent to people who make a purchase from him at the show. I have used a thank you card for years but Bernie’s idea is the most clever approach that I have ever seen. He says that the FDCs are quite popular with his many customers. I’m not surprised. Always encourage your clients to come to you with their difficult questions and elusive items they need. The object is to make yourself indispensable to them. As an example they may need a particular catalog that is difficult to find in our country. Even if it might cost you more to import it than you can hope to charge, the good will that you create will also provide you with a client for life. Remember to market your customer service to your clients. Make it part of every phone call, include the concept in your promotional literature and by all means weave it into your advertising. If you always keep the needs of your clients ahead of your own needs, business will flow to you in spades.